I'm looking for some help here. I purchased some Iota and its been sitting on Binance for awhile now while the withdrawal option says "Suspend". I've seen this in other forums but I can't seem to figure out what is taking so long to get this option working again. 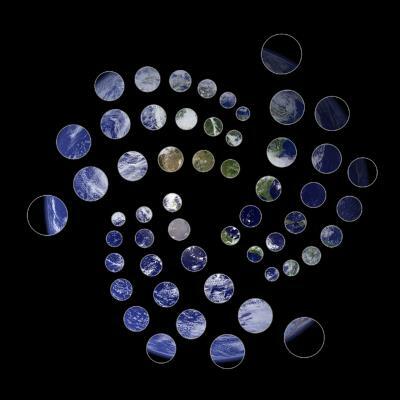 Binance claims this is from Iota's end. I just want to withdraw the funds, but I haven't even had the option to initiate a transaction. Does anyone know when this will be available? @MAAFCI Thanks for the post - it has been moved to the Trading forum since it's a question about exchanges. I think Binance made withdrawals available today, but others will be able to answer more accurately than I.
I still don't have the ability to do it (still says "Network Congestion, Withdrawal Suspend"). I'll check again later today and tomorrow, but still hoping I can get this resolved. I don't like having funds sitting on the exchange too long. Figure I should close the loop on this. I was able to initiate a withdrawal this morning - though it looks like they suspended them again shortly thereafter. It took some time to process (about 10 hrs) but all is good! Just a little patience pays off. @MAAFCI Thanks for posting with a follow up. Glad it worked out, but that sounds frustrating for sure. Does anyone have updates on this? Would be nice to withdraw from the exchange and get them in a wallet as soon as possible. Been suspended every time I've checked. Do I just need to look at random times to see if it opens up? Anyone have any ideas of good times of day for this? Did someone find solution for withdrawal suspended??? I have the same problem! IOTA has currently suspended transactions due to a bug in their system. We are still waiting for confirmation from them with regards to when they will resume transaction operations. When we have been updated and cleared for IOTA, we will also update our website to reflect this. You can still trade as normal on our platform with IOTA and any other available token. We appreciate your patience and understanding, and as always, thank you for your continued patronage. What actions is IOTA taking to solve the problem of withdrawals in BINANCE? Or are they external problems that are not within your field of responsibility? Q: Why has XXXXX withdrawal been suspended? A: We occasionally have to perform maintenance on a wallet, or work with another token's team to clear up the issues involving the withdrawals on our platform. We cannot provide any time frame for when this will conclude. We can assure you that we are devoting all of our resources to keeping all of the assets' functions running smooth on our site. If you are affected by this issue, please understand that we will continue to do our best to get this resolved as quickly as possible for you, our customer. Once we receive genuine information from we will update our platform and /or our announcements promptly. Q: Could you show me your internal communication with XXXX team? A: We are sorry but due a privacy and security reason we cannot make public our internal correspondence. Q: Can I still trade and deposit XXXX on Binance? A: Yes, you can still deposit or trade your current coin on our platform, unless otherwise stated. Q: How I can get more information about this issue? A: We suggest you to contact the particular team directly for more detailed information about the issue.
."IOTA has currently suspended transactions due to a bug in their system. When we have been updated and cleared for IOTA, we will also update our website to reflect this." This seems a bit serious to me and not very good for the coin. It would be nice if IOTA managed their communication a bit better. I'm seeing a lot of stuff out there and this is another case where it's hard to find out what is going on. Why isn't IOTA responding to this issue or at least telling coin holders what is going on? I just check now on Binance, 21 Dec, its the same - IOTA withdrawal suspended. Network Congestion.